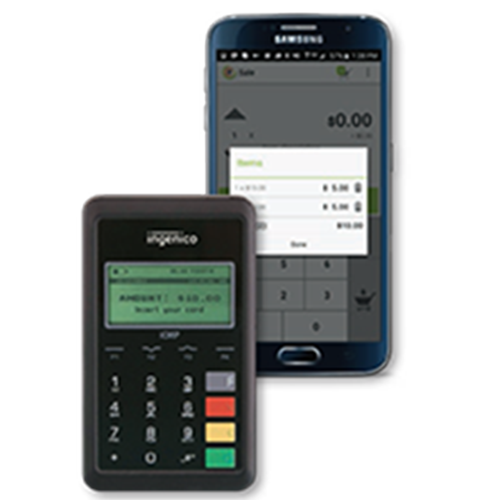 Converge Mobile Terminal is ideal for businesses that are mobile and who process the occasional credit and debit card transaction. Use your existing cellular data package to process Credit and Debit Card transactions on your smart phone or tablet in real time using a secure application that you download from Apple or Google. By pairing your smartphone to a wireless Pin Pad using Bluetooth technology you can accept Interac Debit transactions. Transaction receipts can be e-mailed to the cardholder or printed on an optional wireless printer. Using the Pin Pad allows you to receive lower Credit Card discount rates because all transactions are processed using the high security chip on cards. You will also be able to accept contactless services such as ApplePay, Interac Flash, Tap N’ Go, and other contactless applications, as they become available. Also at no extra charge, you will be able to use Converge Virtual Terminal with it’s extensive reporting options. No terminal required, use your Smart Phone or Tablet. Fully portable, travel to your clients. Accept Credit and Debit Card payments. Use your existing Cellular account. Use your Laptop or Computer for management activities. Ideal for merchant who prossess occassional transactions. Merchant whos location can not receive direct Internet or telephone connections.